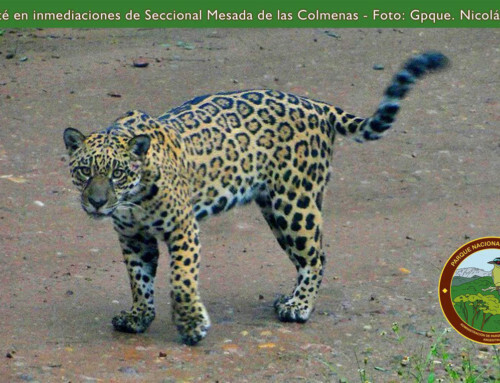 Home » Presence and activity of jaguar (Panthera onca) and puma (Puma concolor) in Salto Encantado Provincial Park and surroundings, Misiones, Argentina. Presence and activity of jaguar (Panthera onca) and puma (Puma concolor) in Salto Encantado Provincial Park and surroundings, Misiones, Argentina. 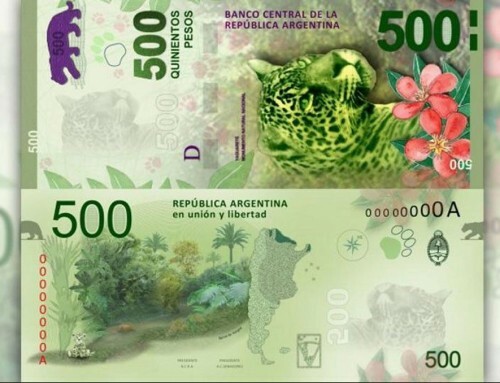 Article published in the specialized journal Nótulas faunísticas. ABSTRACT. 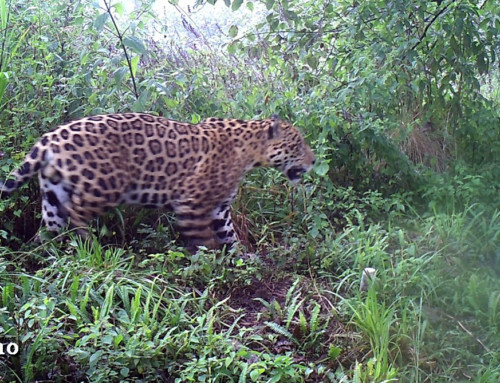 A preliminary analysis of jaguar and puma camera trap detections was done in an area of Salto Encantado del Valle del Cuñá Pirú Provincial Park and its surroundings with the aim to evaluate evidence of spatial or temporary separation between both species. We also analyzed if the presence or absence of one species allows us to predict the presence or absence of the other in this area. 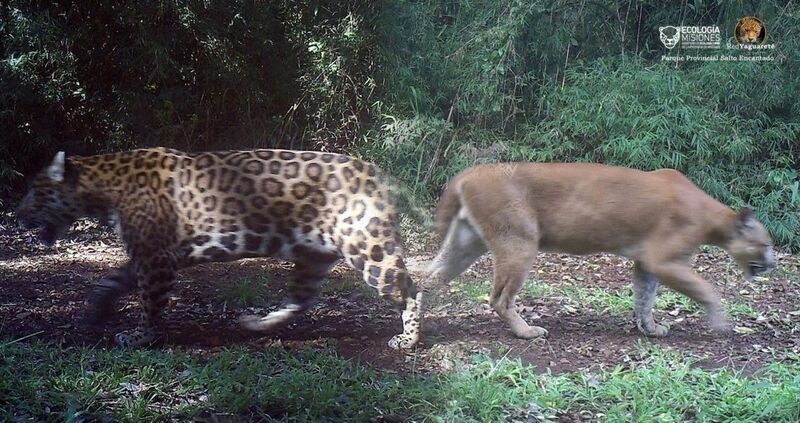 We discovered notable overlapping between jaguar and puma both temporally and spatially. 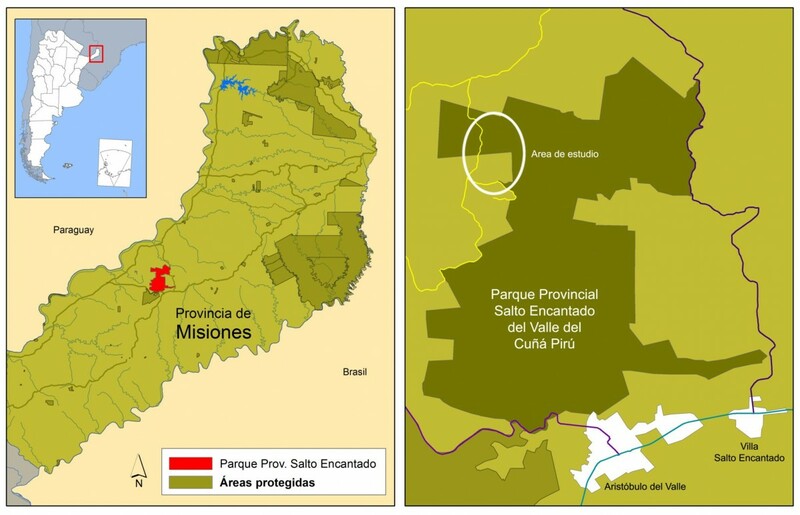 Map of Salto Encantado del Valle del Cuñá Pirú Provincial Park location in Misiones province, Argentina. 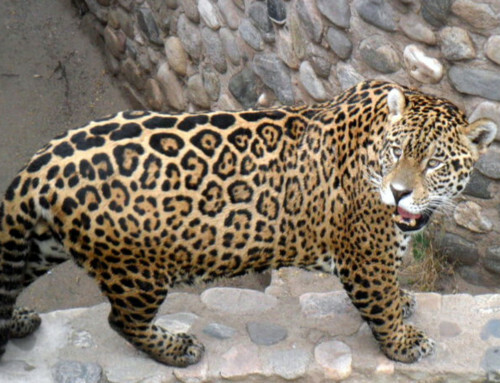 Mombyry, a Jaguar that lives in the Salto Encantado del Valle del Cuñá Pirú Provincial Park.